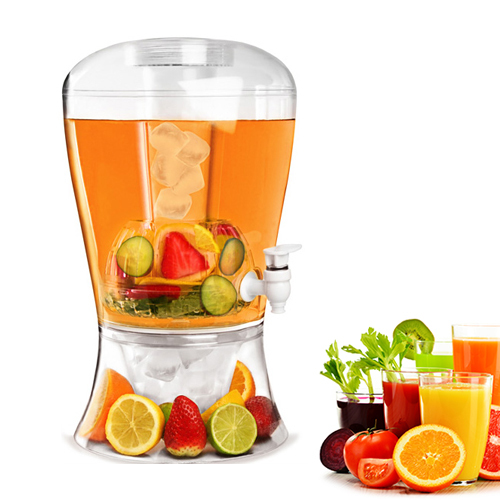 Create your own naturally flavored water with fruits from mints, lemons, limes, strawberries, mangos, oranges, citrus and more. 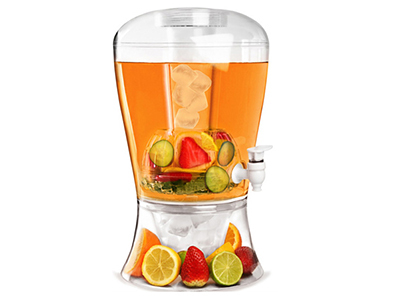 Plastic 2 Gallon beverage dispenser with infuser Includes free ice core so you can cool your favorite drinks.Perfect for strawberry, raspberry, orange, lemon, lime, cucumber, ginger, fresh mint, spices, herbs, and more delicious possibilities. Dispenser can hold 2 gallons; features a no-drip, easy-pull spout for dispensing. 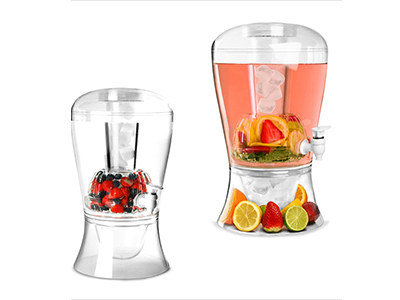 Features a compartmentalized base that can be filled with ice for additional cooling; also features a wide mouth and removable lid. 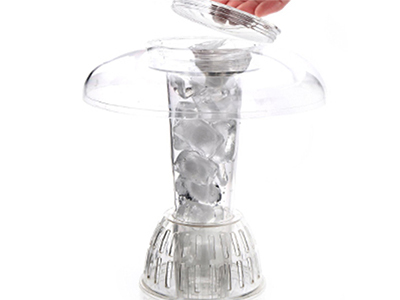 Handle makes it easy to lift off for adding more ice, fruit, or sweeteners; makes a great gift for newlyweds or new homeowners. Acrylic 2 Gallon Beverage Dispenser Will not break if it tips over, making it just as safe and easy to serve cool, refreshing beverage. Lighter for transporting. Great for parties or everyday use.Serve cold beverages with ease indoors or out with a lightweight acrylic container; easy to transport and will not break.